I used to live in a little cottage on a lovely beach north of Townsville. I was recently reminded of my beach home when I was walking along beautiful Red Beach on Bribie Island, listening to the sound of the waves. 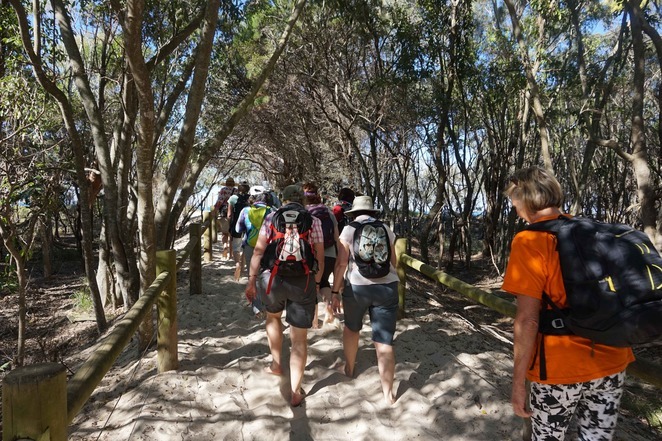 I went on the Bribie Island trip with the Brisbane bushwalking club on a recent holiday. Thirteen of us met at 7.15am and drove 65 kilometres north of Brisbane, across the bridge to the island. Bribie Island is the smallest and most northerly of three major sand islands in the northern part of Moreton Bay. It is 34 kilometres long, and 8 kilometres at its widest. The Island is separated from the mainland by the narrow Pumicestone channel. 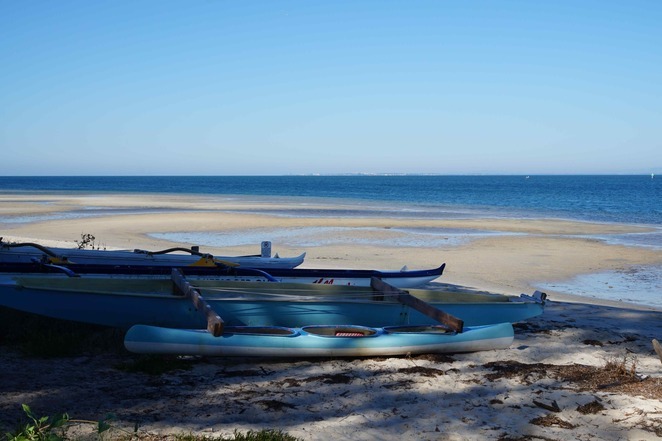 The island is named after a convict from the Moreton Bay penal colony who became the first European to live there. According to folklore he became an expert at mud crabbing for the officers and was rewarded with his freedom. 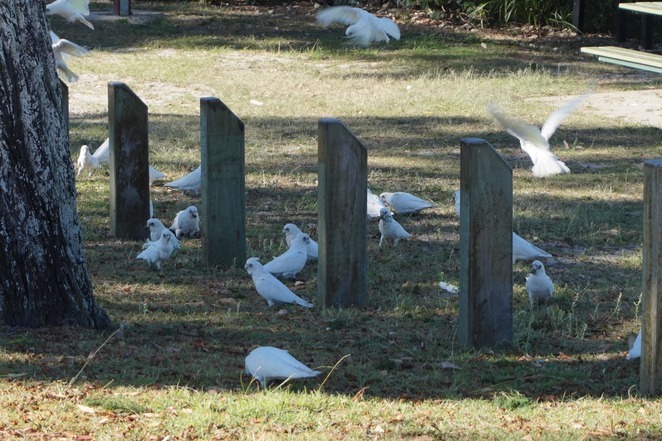 His name was Bribie and after he was freed, he lived on the island with a local Aboriginal woman until he died. 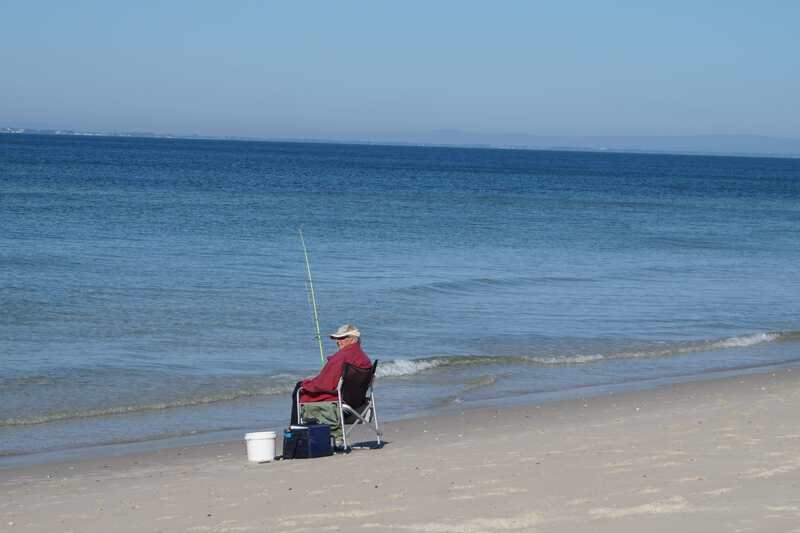 Bribie Island was a pleasure resort and Moreton Bay oyster ground. As late as the 1950s, Bongaree's main street was a sandy esplanade dotted with holiday houses and general store. Wallabies and wild ponies could be seen from the verandahs, and a local hall was the social centre. One of the Island's most famous residents was the reclusive artist, Ian Fairweather, who died in 1974. 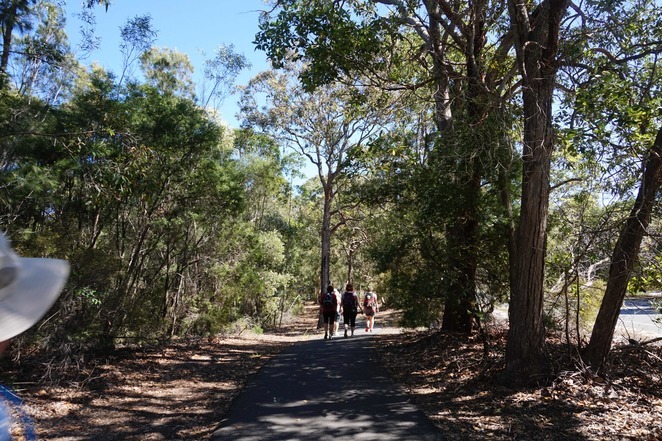 There is urban development at the southern end but most of the Island is a national park with bushland and white sandy beaches. 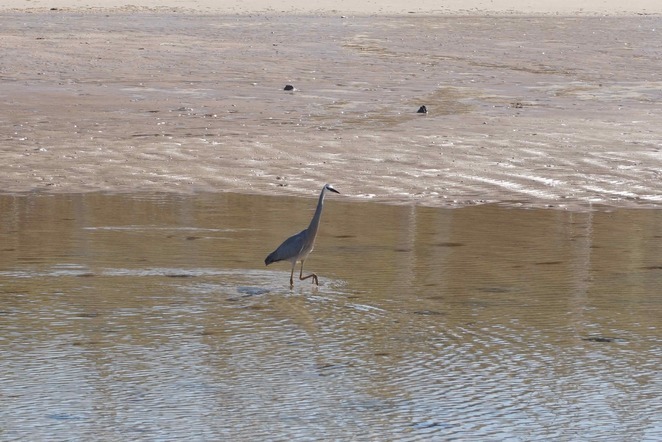 There are 350 species of birds on the Island, and turtles, dugongs and dolphins in the sea. We planned a nice, easy walk on damp sand for 7.5 kilometres from Bongaree Jetty to Woorim beach, then a 5.5 kilometre walk on paved and gravel surfaces under the tree canopy along First Avenue back to Bongaree and our cars. 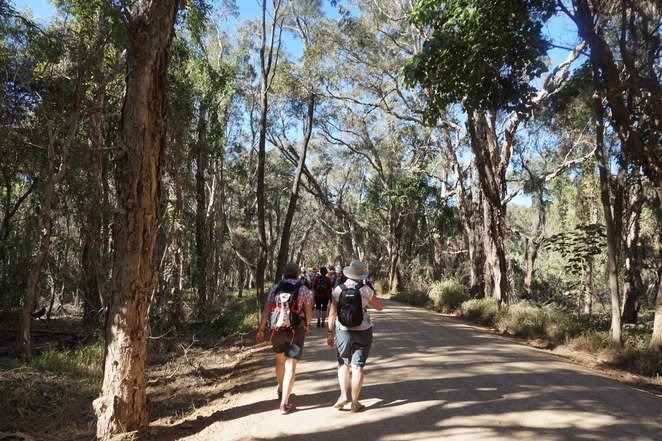 We started off following a footpath alongside Pumicestone Passage up to the entrance to Red Beach. On the way, we passed a large flock of corellas feeding on the ground. They took off as we approached. When we arrived at the track down onto Red Beach, everyone but me took their boots and shoes off, to walk barefoot along the beach. It wasn't long before I took my shoes off too, to wade through the water. 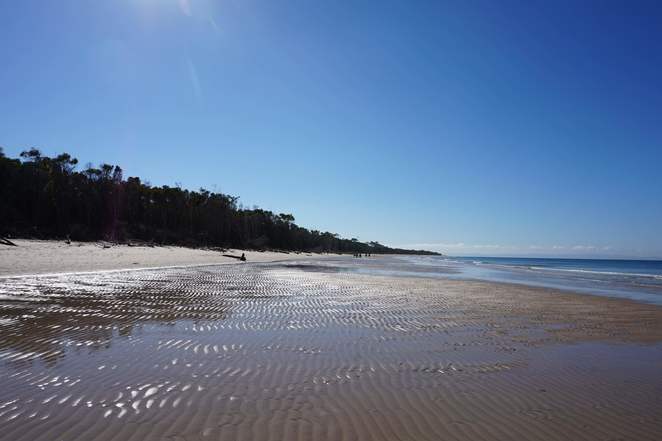 Red Beach is at the tip of Bribie Island on the southern end opposite Moreton Island. This end of the beach was pretty empty, and a lone fisherman looked surprised to see us. It was a fairly slow trip along the beach. We kept stopping to investigate interesting things. Jennifer's father is a marine biologist and identified some of the things we were curious about. He told us (via email, via Jennifer) a fleshy thing we saw was an acorn worm. 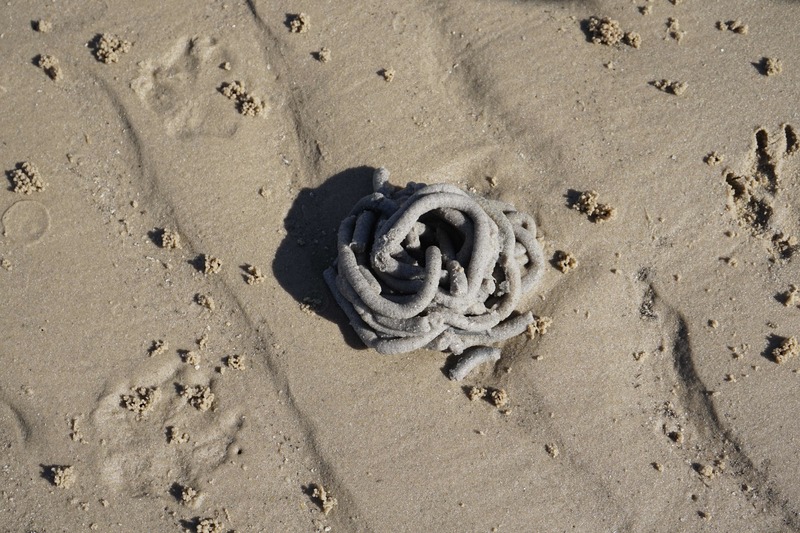 He said these worms feed by ingesting large quantities of sandy mud that has organic matter in it. The worm extracts the nutrients and then at low tide, it excretes it out onto the sand surface. These mounds are acorn worm tailings. There were some lovely shells on the beach and a strange black spearhead-shaped stone. It looked manmade to me and looked like part of it had broken off. I took a photo and sent it to the geology section at the museum to ask if they could identify it. Maybe it is an old war relic or Aboriginal artefact. 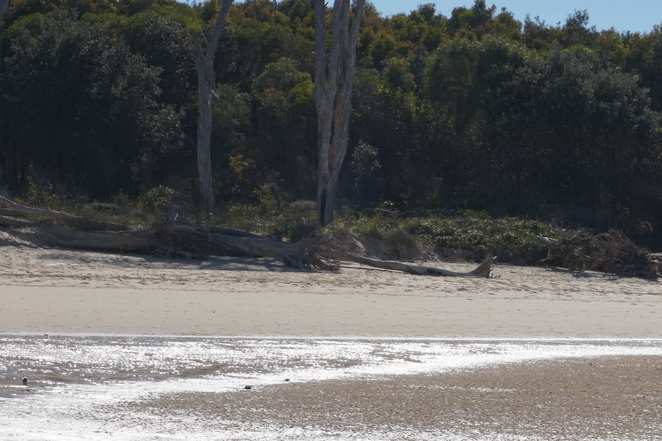 During World War II, Bribie Island was seen as the first line of defence against invasion of Brisbane, and they built Fort Bribie on the Northern end of the Island. There are still remnants of this fort on the island. 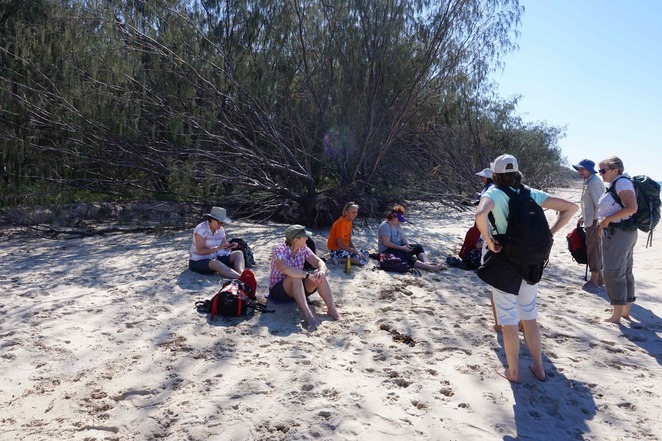 A couple of women in our group had been on a previous bushwalking trip where they went on a boat across to that end of the Island and walked around the old war sites. Maybe a reader can identify the object. It made my hands black handling it, like coal, but looks like stone. 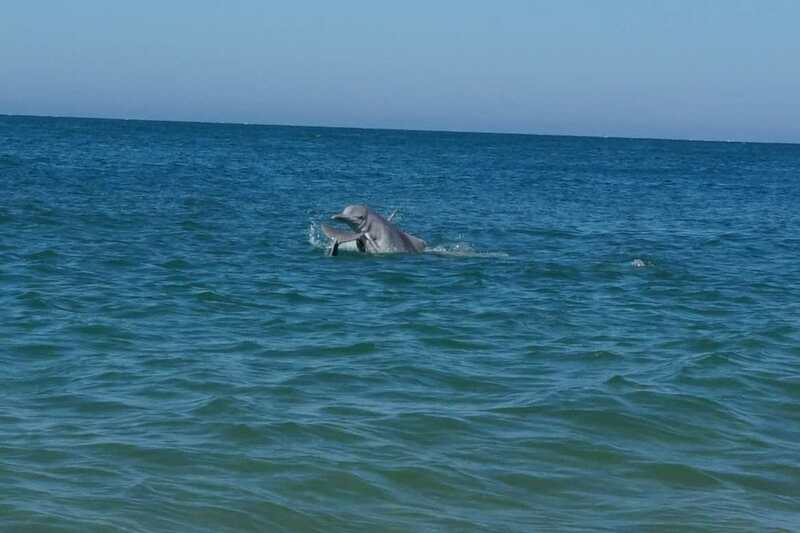 We saw a heron feeding in a shallow pool, but the absolute highlight of our walk was the dolphins. There was a large group close to shore chasing small baitfish. I'm sure there were some young ones playing too. The water was very clear and we could watch them underwater from the shore. We stood and watched them for a long time. A local woman told us they often come in close in the same area. We had morning tea under some trees and then walked onto Woorim, which is north of Skirmish Point. 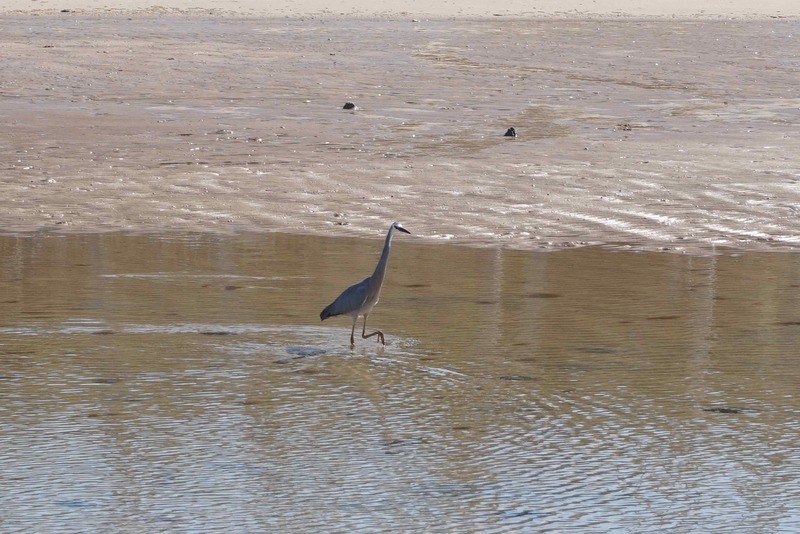 Explorer Matthew Flinders first saw Bribie Island in 1799. He named Skirmish Point. We passed a lot of dogs. 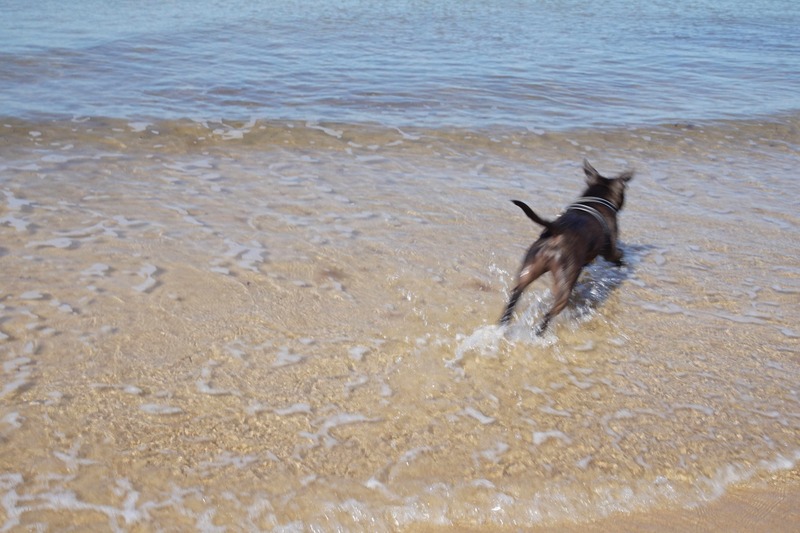 This is a dog-friendly beach and the dogs were having a wonderful time enjoying running free on the beach and splashing in the water. A couple of dogs had even more fun than their owners probably expected. We saw a couple of dogs mating on the beach. The owner of the male dog apologised to some young women standing nearby, but they said the female dog wasn't theirs. So someone is going to get a surprise when pups arrive in about 8-9 weeks time. There were a lot of people on this end of the beach. We thought it was because it was a public holiday in Brisbane, and a lot of Brisbane people had gone to the island for the day. 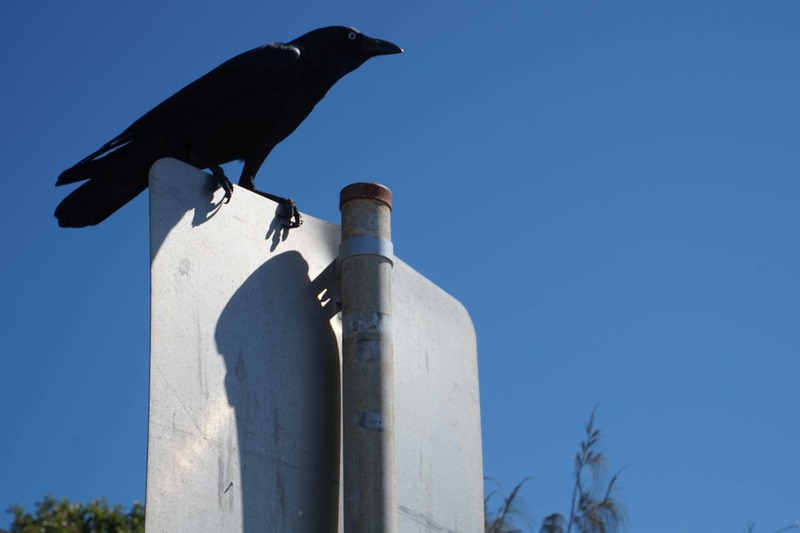 A large crow greeted us on our arrival at Woorim. Woorim Beach stretches 30 km along the eastern side of the Island. It is the closest surf beach to Brisbane and popular as a day trip. We had lunch at Woorim at a table in the park under some trees. We enjoyed fish and chips and coffee. There was a bit of panic when we packed up to leave. Jennifer realised she had lost her expensive sunglasses. Luckily some honest person had handed them into the cafe where she bought lunch. The walk back along the path to Bongaree was very relaxing and interesting looking at the trees and plants along the way. Bribie Island is a beautiful island. I had been there many years ago when it was just a quiet village. It has developed a lot over the years. Although it is close to Brisbane, development was slow. In the late nineteenth century, a fish cannery was established but it was abandoned in 1901. A jetty was built in 1912. The first car arrived on the island in 1919. In 1953 the island was finally connected to the mainland's electricity. Things changed dramatically in 1963 when a bridge from the mainland was completed. This opened the island up to holidaymakers and day-trippers. It has also become very popular with retirees. It was a wonderful day out walking along the beach, watching the dolphins frolic offshore, and listening to the sound of the waves. I still miss my little cottage on the beach front north of Townsville as I had some of the happiest times of my life there. I used to walk along the beach carrying my baby son (30 years ago) and watch the red tailed black cockatoos feeding in the casuarinas trees from my deck. We had some great adventures. We found a man with a broken leg one day holding a wild horse that had kicked him. He was bleeding a lot, but wouldn't let the horse go because it was a valuable racehorse. We rescued the man and horse. 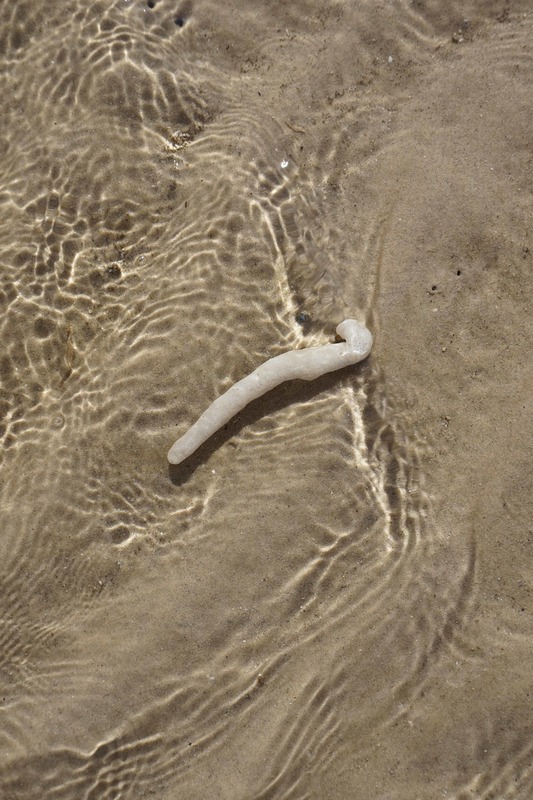 I used to swim every weekend in the sea covered from head to toe to prevent box jellyfish stings, but just before I left Townsville a small shark brushed against me when I was swimming in waist deep water one late afternoon. It was pretty scary. 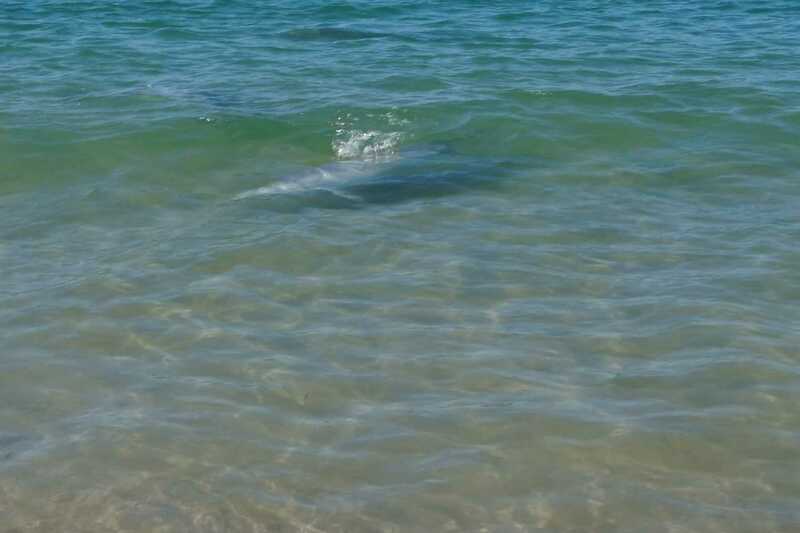 The shark was chasing fish and luckily wasn't interested in me. I went back a few years ago and there are now large signs leading into the small beachside suburb warning people about crocodiles too now. I love the beach so will keep visiting the lovely beaches close to Brisbane, and I may even get back to my little cottage in North Queensland one day. I guess I had my sea change early. Bribie Island National Park and Recreation Area map. I loved reading your article and would love to go on the walk too! Wonderful article ! Very interesting and some great photos. Lucky you seeing the dolphins so close. Thanks for a good read. May there be many more . Well written and informative. Most interested to learn whether you had a response on your artifact and, if you did , what it was. I heard back from the Discovery Centre at the Museum about the rock (see below). "We believe the rock you have found on Bribie Island to be Coffee Rock. Coffee Rock is a type of Black or Brown Sandrock commonly associated with the Moreton Bay Region. Rather than being worked, it would appear that the rock is very well worn. 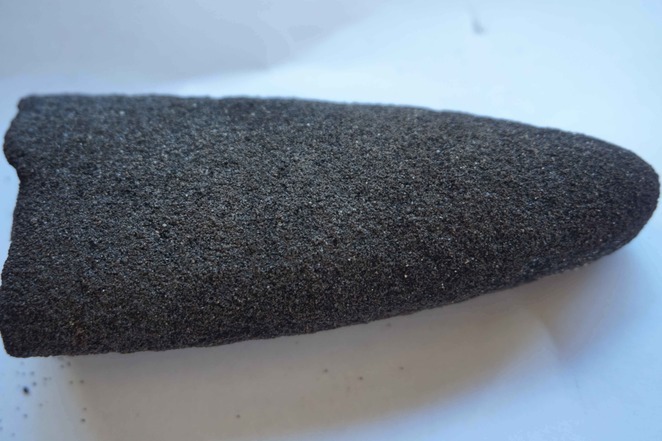 Rock of this type is quite soft and would not usually be used as a base for tools. However this same softness causes it to wear rather rapidly and therefore it can have the appearance of being shaped by human hands"